The transportation of pharmaceutical products requires rigorous processes (including controlled temperature and times) to ensure the integrity of the product throughout the supply chain. LATAM Cargo underwent a final audit in January 2017 to verify that the company and its processes –such as quality management, personnel training, supplier management, internal auditing and transport, among others– comply with the standards for the transportation of pharmaceutical products. With the successful completion of the audit, LATAM Cargo has become the first airline in the Americas to receive CEIV Pharma certification from the International Air Transport Association (IATA). “This certification demonstrates the quality and consistency of our PHARMA product. As the first airline in the Americas to obtain this certification, we reaffirm our aim of becoming the preferred choice for cargo transport to, from and inside Latin America. It also reflects our commitment to deliver excellent service to our customers”, said Andres Bianchi, CEO of LATAM Cargo. Since this global certification began in Brussels in 2014, it has been gaining recognition from airlines, airports, freight forwarders and shippers. Its overall goal is to raise industry know-how and achieve global standardization, thus contributing to the improvement of pharmaceutical handling. Prior to certification, in March 2016 LATAM Cargo carried out an internal assessment of its capacities and processes for handling of these products. 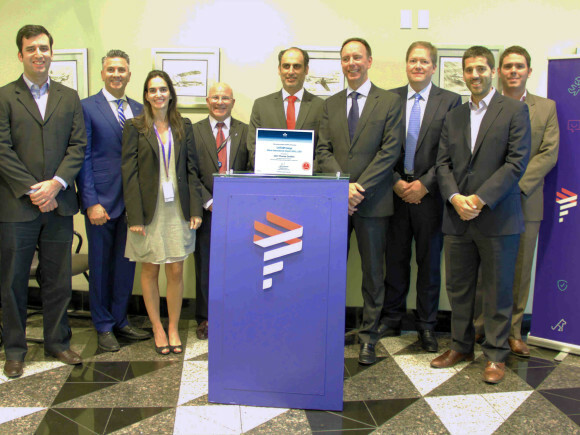 “We are very pleased that LATAM Cargo has achieved CEIV Pharma certification. This globally recognized standard is a guarantee of safety, security, compliance and efficiency for the high value shipment of pharmaceuticals. IATA is striving to support the modernization of the air cargo industry and CEIV Pharma is an example of how by partnering for mutual benefit we can generate value for stakeholders across the air cargo value chain and most importantly, our customers”, said Peter Cerda, the International Air Transport Association’s Regional Vice President for the Americas. Cristina Oñate, LATAM Cargo Marketing and Product Development VP, added that “the CEIV certification process has been beneficial for LATAM Cargo. It has provided access to new assessment and control tools, which we have helped to improve our PHARMA product”. “As the first airport in the western hemisphere designated by IATA as a pharma hub, and now as home to the first airline in America certified by IATA for pharma transport excellence, we are proud to collaborate with LATAM Cargo and our other hub partners to be the unrivaled pharma gateway of the Americas”, said Miami-Dade Aviation Director Emilio T. González. “Pharma trade to and from MIA continues to be a huge growth area for us, most recently surging by 48 percent in value year over year to $4.4 billion in 2016”. 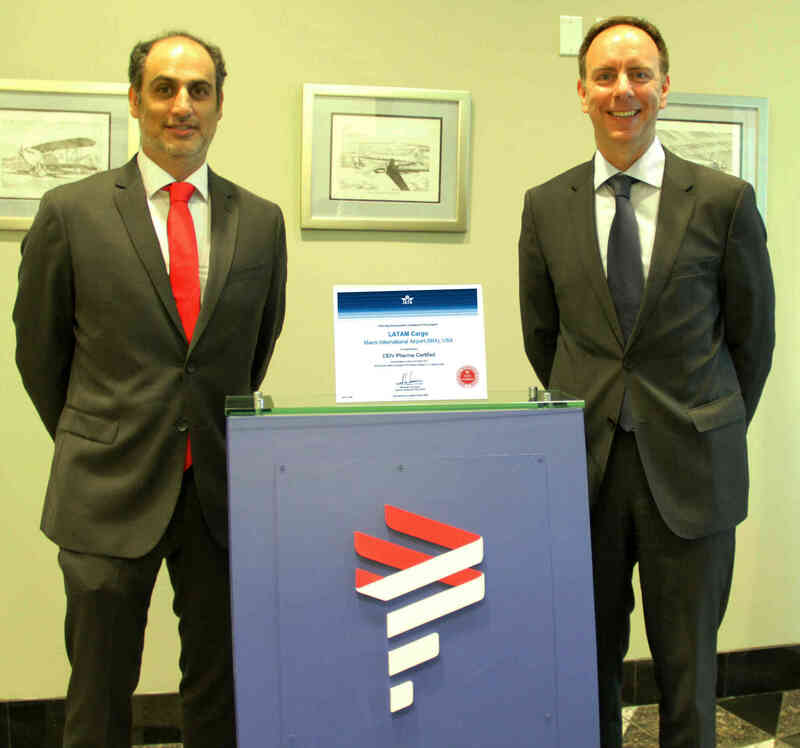 With this certification, which is valid for three years, LATAM Cargo has positioned itself as a leading airline in the transport of Pharma between Latin America and North America as well as Europe. It has also demonstrated its commitment to the pharmaceutical industry and its customers, by ensuring it meets the rigorous standards to transport these products. IATA’s Center of Excellence for Independent Validators on Pharmaceutical Handling (CEIV Pharma) addresses the pharmaceutical industry’s need for safety, security, compliance and efficiency in the air cargo supply chain. Based on existing regulations and standards, this certification ensures international compliance with guidelines expected from pharmaceutical manufacturers.